If there’s a covenantal relationship with Israel, and a divine calling of Jew and Gentile, then Paul comes into picture who merged these two into one, with his “ingrafted branches” analogy in Rom.11. Rashi comments on it that this strangers and eunuchs are converts. These (converted heathens) have surely a place in the house of God and in His covenant, according to this words of God. But this also implicitly states that gentiles are not the same as the people of Israel. Otherwise these converts would not be mentioned as strangers, but were fully regard as Israelites. When the ingathering of the Israelites happens, these ones are also ingathered with them. This must be the idea of the apostles (Acts15) that the gentiles have a place amongst the people of God. They may dwell in the tents of Jacob (Gen.9:27) and may come to Sion (Ps.87). And especially because the most profound thing ever happened since the giving of the Torah, that gentiles receive the Holy Spirit (before they convert to Judaism), the apostles believe firmly that the Messianic times were started and thought it is not good to obligate gentiles to keep the Torah to become part of the commonwealth of Israel. On the other side Paul warns the gentiles not to be proud of it and not to think they are now the replaced Israel, because that was certainly not the case. It even doesn’t abolish or change the existing covenant with the Jews. Now if we see Jews and Gentiles, separate on one plane, together on another plane, we can understand the message Paul gives us much better. The expression “those who are far away” as Peter was saying, is found in the prayer of Solomon in 1Kings8:41-43. Here is referred to the stranger “who is not from the people Israel”. This are the gentiles were Solomon is praying for, saying: “hear Thou in heaven Thy dwelling-place, and do according to all that the stranger calleth to Thee for; that all the peoples of the earth may know Thy name, to fear Thee, as doth Thy people Israel, and that they may know that Thy name is called upon this house which I have built.” (1Kings8:43). Those are coming “for thy Name’s sake” gentiles who fear God, who have a burden to know God and joined Israel. They have a place, even in the holy temple, to worship with the people of Israel and pray with them. There’s nothing here what implies that the gentile must convert himself. They are allowed, but not obligated. What we see here are God-fearing gentiles who join Israel. A very good article about being a gentile with respect to the Jews, is to find here. It argues that it is great to be a gentile and to be like the Master and Lord Jesus, in His love and passion to one another’s brother. The boundary marker for being incorporated into the people of God is faith in Christ rather than the works of the Law. According to Paul in Galatians. Distinction 2: Jew or Gentile (the covenant issue.) There’s a covenantal relationship with Israel. But there are more covenantal relationships. The church also teaches such relationship were infant-baptism is a part of. The first distinction is most important. That’s the question if one is righteous or not. That line cuts right through Jew and gentile alike. And divides genuine and fake. This is a matter of salvation or not. There’s much to say about it, but I will stress the one and only important thing: especially after the time the Holy Spirit was poured out because of the fulfilled work of the Messiah Jesus, immediately repented people received a new born being, a new spirit, a new will, a new attraction to serve God in the most possible holy way they can achieve. That makes the most important difference. That makes whether you belong to the people of God, the sons of God, no matter if you are a gentile or Jew, an American or a Russian. What I will argue here is that a gentile will fit conveniently in the Jewish commonwealth. There has always been a place for them. The Torah never rules out a gentile, but rather punish a sinner. The most basic rules for everyone are the 7 Noachide laws. 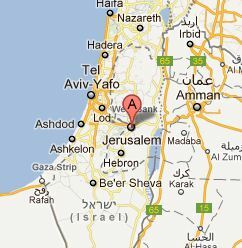 The place of the gentiles within Israel and its God, or the accommodation of the Christians with respect to the Jews. For many years, lets say two millennia, the church fits in the place which was initially made by Israel at the time they rejected Jesus. For the treasures of Heaven came especially to the gentiles while the Jews commonly entered a stage of dispersion and curses, as said in the Torah, De.31. At that time, what churches stressed to be the beginning of the Christian Church, the apostle Peter said when the Spirit came down on Jew and Gentile alike, that this is the promise for you and your children (Israel) and for “all who are far away”, everyone whom the Lord our God calls him. (Acts 2:39) It looks like he is citing a verse from the Tenach, but that is not so. What he does do is summarizing for who the Torah was meant. For who the covenant relationship was meant. For who the promises were meant. His saying was commonly known and understood by Jews at that time. And even now it’s easy to understand for a Torah learned Jew, what Peter meant by this. He said the Torah (and its promises) was first and only for the Jews (you and your children) but it was also for those “who are far away”, who joined Israel with prayer and worship. Obviously the gentiles are meant here. And more specifically, those who joined not only the people of Israel as their fellowship, but also the God of Israel with true love, as many as “the Lord our God calls”. What was commonly known was the relationship between gentile and Jew, but what was totally new was the direct attachment to Israel and God by the gift of God of renewal and rebirth. The very baptism of the spirit was never seen before, not among the Jews but certainly not among the gentiles. This signifies a brand new era of Messianic proportions. But there were still difficulties to overcome where the Jews, I mean the apostles, meet the (not knowledgeable) gentiles. The struggles the apostles faces whether a gentile must be fully converted or not, are clearly presented in the book of Acts and the letter of Paul to the Galatians. How could one be holy and gentile at one time? It’s all about the calling of the gentiles by way of rebirth through the gift of the Holy Spirit. They enter the special covenantal relationship of grace, the same as the true Israel, but remain gentile. In the Torah they are called a Ger. Here the distinction line is the real calling and rebirth.